Former Saudi intelligence chief says Trump shouldn't scrap Iran nuclear deal but instead take it to task for its “destabilizing activities”. Saudi Arabia’s former intelligence chief is urging U.S. President-elect Donald Trump not to scrap the nuclear deal between Iran and world powers but rather take the Islamic Republic to task for its “destabilizing activities” in the Middle East. “I don’t think he should scrap it. It’s been worked on for many years and the general consensus in the world, not just the United States, is that it has achieved an objective, which is a 15-year hiatus in the program that Iran embarked on to develop nuclear weapons,” said Prince Turki al-Faisal, a former Saudi intelligence chief and ex-ambassador to Washington and London, according to Reuters. “To scrap that willy-nilly as it were will have ramifications, and I don’t know if something else can be put in its place to guarantee that Iran will not go that route if the agreement is scrapped,” he added, speaking at a think-tank event in Washington. Trump promised during the election campaign to “rip up” the Iran nuclear agreement, which he described as “disastrous” and one of the worst agreements ever negotiated. Iranian officials have downplayed Trump’s threats to annul the nuclear deal. On Thursday, one of Trump’s close advisers said that while the President-elect may not actually “rip up” the deal, he will act to change it as he feels Washington gave Iran $750 billion without receiving much in return. 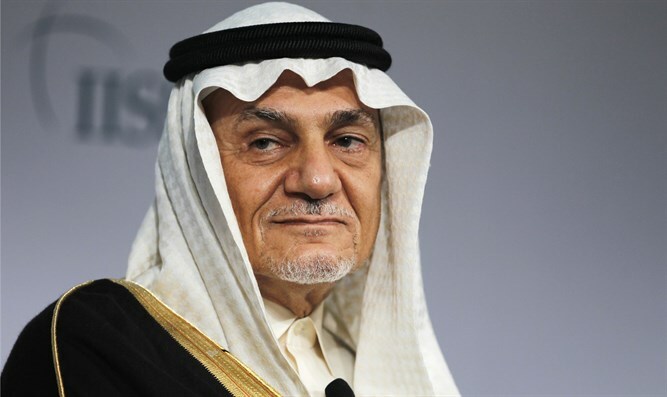 Prince Turki in his remarks also said Trump should admonish Iran for its “very adventurous and very destabilizing activities” in the Middle East. During the negotiations between Iran and world powers, Saudi Arabia and other major Sunni states expressed concern over a deal which would allow Iran to produce nuclear weapons – a position which placed them very close to Israel’s position on the matter.